The Organization of the Petroleum Exporting Countries (OPEC) reached a deal with Russia and other major producers on Thursday to prolong output cuts for nine months until the end of March 2018. Oil prices dropped sharply ahead of the announcement. The cuts were extended by OPEC and a dozen independent oil exporters, including Russia. The agreement between 24 oil-producing countries is expected to stabilize the markets and reduce the global oil stock by the first quarter of 2018, top officials said at a press conference in Vienna on Thursday. A nine-month extension period is believed to be optimal by the producers, according to Saudi Minister of Energy, Industry and Mineral Resources Khalil al-Falih. A further extension might not be needed, as OPEC and independent producers expect to be “at the target at the year’s end,” the minister said. That doesn’t mean, though, that the countries won’t extend the cuts in March 2018 but it will be decided “closer to the date,” the minister explained. OPEC and independent producers are working on institutionalizing the cooperation between them, but there is still a lot of work to be done in order to achieve this goal, according to al-Faleh. He also said it is expected that Egypt and Turkmenistan will later join the agreement. OPEC does not have plans to impose restrictions on oil extraction in Libya and Nigeria in the nearest future, al-Falih stated, as the two countries’ production does not affect the plan to reduce global oil stocks. 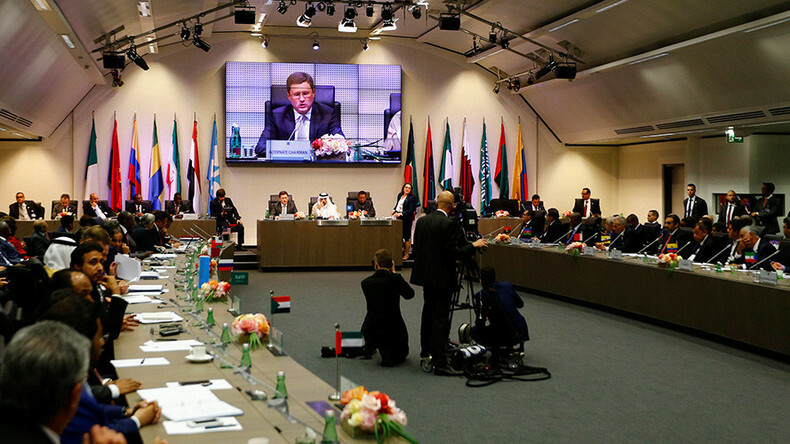 The current level of consolidation between OPEC and non-OPEC countries is a historic achievement, according to Russian Minister of Energy Aleksandr Novak, who believes that the cooperation will continue. The decision to maintain the production cuts for nine months was unanimously approved by the Vienna agreement signees, Novak stressed. “We all have undoubtedly a positive effect [from the agreement] – both country-producers and county-consumers alike,” Novak said. A joint committee of ministers from OPEC and non-OPEC oil producers will continue to gather every two months in order to monitor the markets, the Russian minister said, adding that the intergovernmental body can meet even more frequently if needed. The next meeting of the committee is scheduled to take place in Russia on July 23-25. The agreement between OPEC and non-OPEC countries would be impossible without Russia, al-Falih told reporters after the press conference. The oil-producing countries discussed a possible mechanism to smoothly transition out of the production cuts agreement, according to Novak, who added it was too early for agreement to be reached on the issue. 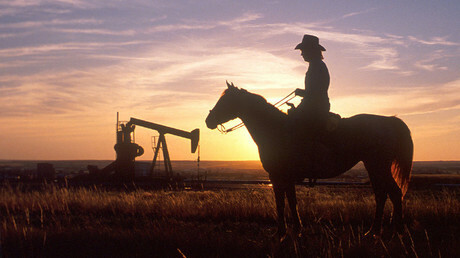 The first agreement to cut production was achieved last December during an OPEC summit in Vienna. The Organization, Russia, and other major oil producers agreed to curb production by 1.8 million barrels per day (bpd) for six months from January 1 to support the market and push prices to $60 per barrel. The agreement proved to be partially successful, as it managed to keep the prices oil prices above $50 per barrel, giving a fiscal boost to major producers. The joint OPEC-Russia efforts, however, were somewhat undermined by growth in the shale industry of the US, which did not take part in the deal.